First time I came across this one. The vehicle weighs 14 tons, can swim, carry 10 troops or 10 tons of cargo. It's designed to be a simple, affordable option to counter threat of mines and IED's. The vehicle on the video is the first prototype, and is undergoing driving and swimming tests. 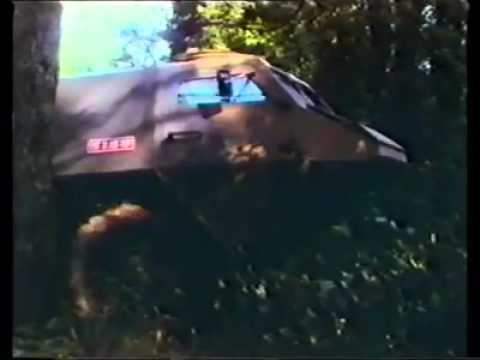 Next up is ballistics tests in Britain to see if the vehicle can meet Nato's standard. Next winter the vehicle will be tested in arctic conditions. 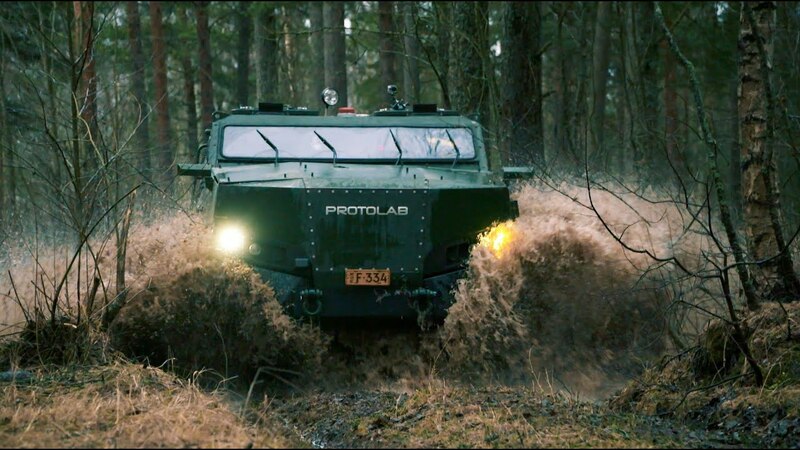 Protolab is a Finnish company that specializes in special vehicles and vessels and high-level ballistic- and mine-protection systems. EDIT: Should've been in equipment section. I must admit that I am fairly puzzled as to what niche they plan to fill that is not already covered by other vehicles. According to the article it's going to be in some ways simpler and easier to maintain than the competition "with strong protection" (...for crisis control operations in the middle of desert/nowhere). Also the price is supposed to be =<500k ECU's with the basic model. Last edited by Teme; 09-11-2015, 11:41 PM. The idea is that it can be used by motorized peace keeping forces. One of the reasons the XA-180 ha been successfully used in that kind of environment is that it is not aggressive, and this is even less so. This is not a combat vehicle (even if it can be fitted with a machine gun or a RVS for self defence), but a truck designed to be protected against mines, IEDs, bullets and shrapnel. One of the primary investors in the project is foreign, from a Nordic country, and it is financed as part of offset payment for a Finnish purchase (so most likely Sweden or Norway). It is also designed to be heavily protected, but as simple as possible, as the designers had noticed that a multi-million dollar vehicle might be out of use due to some slight error on the computer system. The vehicle can transport 10 tons of goods/equipment or be equipped with a modular seat arrangement for 10 soldiers, the seats have 5-point seatbelts, reactive shock absorbers and are designed so that the feet do not touch the floor to minimize foot damage from IEDs or mines. As mentioned each seat has got a power socket for charging batteries for radios, night vision equipment and other electronics. In addition it can swim, be registered for normal road use and be transported by air in a plane of Hercules-size. There is a growing market for these types of vehicles in europe, as police and ambulance vehicles. And this is so cheap, that maybe even taxi entepreneurs in Malmö might be interested. There was a large number of XA-180 that will be simply retired. So this could be a good replacement if the price is right. When it was first posted some time back i thought it looked like a up-armored truck and thought the pricetag was a bit high for such a product but the more i get to see of it its clear its more purpose built than i initially thought. In that video we get some good view of the undercarriage and some inside and it actually looks like the engine is center placed so the front is actually empty and more a design choice to increase survivability in a mine hit to the front axle and increased protection to the frontal arc. It also looks like it has a v shaped hull and the rear axle is steerable making it easier to maneuverable in built up areas. With these features and some of the other not mentioned one could argue this would be a perfect replacement for the XA-180 but not a competitor to the PATRIA AMV. I would imagine there would be quite a market for such a product at least in Scandinavia. Finland has decided to purchase a test series of four MISU for testing if the vehicle have any future use in the FDF. The testing will take place between 2018-2020.